We appreciate your interest in our inventory, and apologize we do not have model details displaying on the website at this time. Please fill the form out below and our team will quickly respond, or, please call us at (865) 622-7195 for more information. Would you happen to be looking for used minivans for sale and have not been able to find a quality dealership with dependable vans? Then stop going to those other places and come to see us at Rusty Wallace Nissan. If you have been searching for what feels like an eternity trying to find used minivans for sale near you in Knoxville, and you come up short every single time. Then you are going to the wrong places to buy your vehicle. At Rusty Wallace Nissan, we sell on the finest high-quality minivans because we know how important it is to customers like you to buy a car you can depend on for many years to come. It can get very frustrating when you make a stop after stop searching this place or that, and you get out and look, and get right back in because it’s not even worth your time. Stop wasting valuable hours you cant get back searching dealerships who have a poor selection of vehicles. When you come to see us at Rusty Wallace Nissan, you will see the difference for yourself, and you will be glad that your search for a quality dealership is now over. You can begin your process of finding the right van for you. Perhaps you have in mind to find dodge minivans for sale? If this is the brand of vehicle you wish to see, we have a large selection of them at Rusty Wallace Nissan. All it takes is you stopping in and taking some time to browse the dealership of dodge inventory like this 2017 Dodge Grand Caravan we currently have for sale at our dealership. 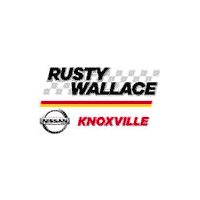 So whether you want a Nissan dealer in Knoxville Tennessee, or you may be looking for another brand of vehicle, you can find just about any car you want right here at Rusty Wallace Nissan. Stop being disappointed with other dealerships and going out of your way to see a car that is just right for you when you can stop into our dealership and discover the vehicle that is meant for you.